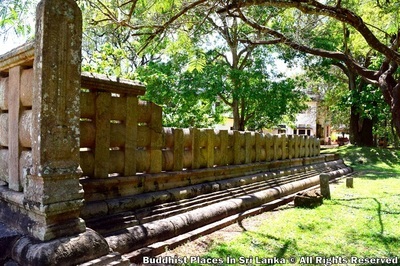 The period or the builder of this shrine associated with the stone fence known as the "Buddhist Railing" is nit known. The rectangular enclosure 43 x 34 meters in extent, is protected by a 1.6 meter high stone fence. 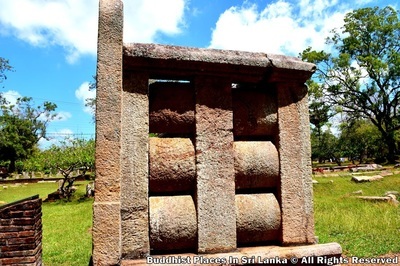 Its four entrances, one at the center of each side, are oriented to the four cardinal points. The function of this shrine is yet to be identified, but the presence of stone seats, pedestals, fragments of images and its resemblance to the "Gandhakuti" type construction has led some scholars to believe that it was an image house, while the presence of the square pit identified as the spot where a bodhi tree was planted and the water course leading to it has tended others to suggest that it was a "Bodhigara" (Bodhi Tree Shrine). 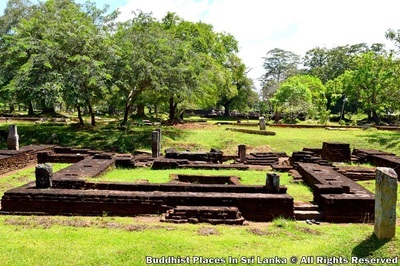 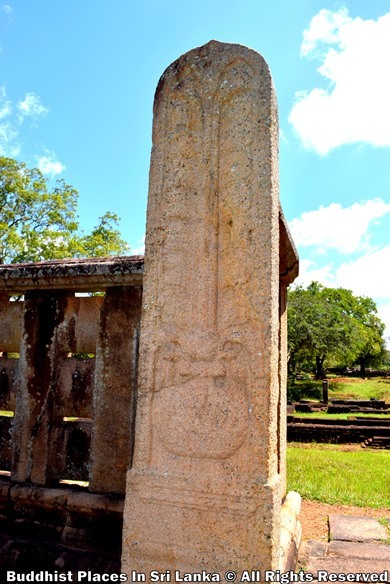 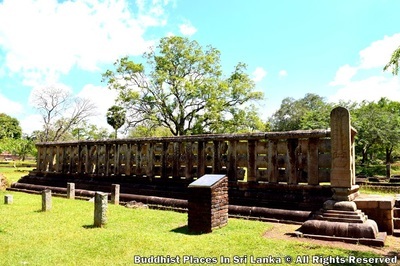 According to the Mahavamsa, there had been a Bodhigara within the Jethavanarama monastery during the reigns of King Agrabodhi II (608 - 618 A.D.) and King Dappula II (815 - 831 A.D) and a golden image of the Buddha had been donated to it by the king. 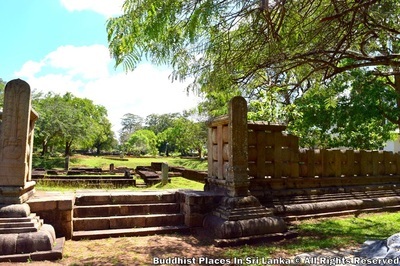 The shrine may have been used in turn as a Bodhigara and as an image house.